As you may know, we bloggers love us a good blog series. I have a couple regular columns going on at the moment – 20 Below (Tuesdays) features items in the marketplace that are less than $20, and the Friday Five is a thematic collection of five things that ends each week here on White Cabana. Now, I’ll be taking part in a blogosphere-wide monthly linkup series organized by the gals over at Shop the B Bar. Each month, a group of bloggers will write and publish a post around a common topic. We’ll share the posts on the same day and link-up to one another so that you – and we – have a lot of interesting posts to read! The monthly posts will be published on the third Wednesday of every month, so mark your calendars! So, now that everyone knows what’s what, let’s get this blog linkup started. WHAT DID YOU PURCHASE IN THE PAST YEAR THAT BECAME INVALUABLE TO YOU? Flannel sheets! Yes, flannel sheets! I feel like I’m a retiree with my flannel sheets, but they are amazing! They’re not as pretty as my usual crisp white sheets, but they sure are warm. And in winter, warmth at home rules. My flannel sheets aren’t going anywhere, that’s for darn sure. I’d also love to know what item you’ll never give up. Do tell! Yeah…I thought I was a crisp cotton kind of gal until flannel came into my life! I would have to agree, I usually say cotton all the way 😉 But I bet these would be extra cozy in the midwest winter! Yes! Flannel sheets are amazing! I actually look forward to that time in the fall when I finally decide it’s flannel sheet weather. You curl up in bed, and they are so snuggly and warm. Totally agree. If you love flannel sheets and that cozy toasty feeling, you need to get the heated mattress pad from Lands’ End. life. changing. I only have cotton sheets, but this reminds me that I would love some flannel sets. So cozy for the chilly winter days. I used to have some when I was younger and I definitely miss them! Glad this post serves as a reminder for you, Jackie! Hope you find a set that is perfect for you! haha yes! flannel for the win! i used to be a buyer for bedding so i always got to try the new pair of sheets, they’re so cozy! A bedding buyer? Wow! That is totally cool! Duvets, pillows, linens…you’d get to live comfort! Originally from Iowa, I always used flannel sheets in the winter! Now as an adult, I think I may need to revisit them! So great linking up with you, Jordana! Ha ha – exactly – what was popular when we were young is gaining popularity now? Let’s go with that, shall we? I love that so many people are remembering them from their childhoods. Very neat. Such a cute answer! I grew up in Minnesota and switching our sheets to flannel when it got cold was the best feeling. Now that I live in Arizona, I don’t need them quite as much, but your post reminded me of a memory I had forgotten! Ha ha…technology didn’t even come to mind when I was thinking about the answer. Now that I’ve read other people’s posts, I’m creating a major wish list of what I need! Glad to have reignited that memory for you…although I’m sure you are pleased that your flannel sheet days are over! I have been on the hunt for a good set of flannel sheets! I have my eye on a few sets from Kohls! The Colorado winter has been brutal this year! Get ’em before they’re gone! Fires, tea, and flannel sheets…how else are we going to get through these ridiculously freezing cold days?! Ain’t no shame, girl. I had a pair of white flannel sheets growing up and I still miss those things. 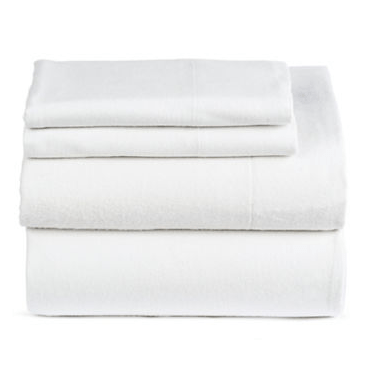 I think that having linens that make you feel good is so important — worth investing in for sure! Couldn’t agree more. Anything to do with sleep – yeah, I’d pay! I love my flannel sheets! White Flannel sheets sound heavenly! I bet you feel like you are sleeping in a cloud. I need to find some for myself because I love being warm in the winter! It’s been below zero here with the windchill most days, so I TOTALLY get the flannel sheets. Stay warm! It’s amazing what a good pair of sheets could do! Those looks so crisp – perfect for winter. love a good flannel sheet, such a good answer! Is there anything better than getting into a freshly made and warm bed? I don’t think so! Nice linking up with you, Jordana! LOVE that you picked sheets here! I’ve never even thought about flannel ones… definitely been tempted to invest in some fancy high thread count cotton ones. Unfortunately sheets seem to be the last thing on my mind when I’m shopping! Sheets are not the most fun things to buy, I agree. I’d generally rather buy a new beautiful purse. But…I couldn’t be more happy with the flannel option. They are keeping me WARM!